Binomo welcomes South Africans with a 80% bonus up to $4000 on your first investment! Options trading is a promising and popular way for South Africans to earn money. The key to successful trading is cooperating with trusted companies that offer a really high quality service. Binomo is one of the market leaders, operating on the market for 4 years (since 2014). In its first year, the company developed its own unique platform which is regularly updated. The trading terminal is currently an advanced platform suitable for professional trading. It offers high speed of operation, a fairly wide range of indicators and supporting tools for analysis, more than 10 payment systems supported, prompt withdrawals, and a 24-hour support service. The Binomo terminal was designed in such a way that it could be used not only as a trading platform but also for market analysis. It consists of a chart which occupies about 80% of the space. The functionality of vertical and horizontal scaling is supported and there is a range of 10 indicators and several dozen drawing tools. This allows it to be used as an analytical platform as well. 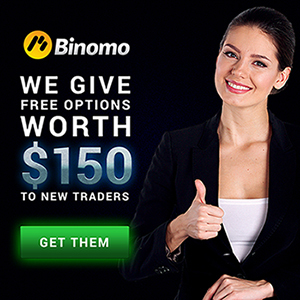 Binomo is focused on short-term trading, which is the reason for the short expiration terms. Scalping requires a high reaction rate, so you can trade on the terminal with one click, or by using the keyboard. Regular tournaments are an excellent way for traders in South Africa to get a real monetary reward for effective trading. Everyone has a chance. Binomo has been regularly holding contests since the beginning. The goal is to achieve the best trading result, or the largest turnover of funds. Everyone has a chance to win prizes. The company conducts competitions of various levels, starting from zero. Every week there is a tournament among users on the demo account. All registered users can take part and you don’t need to credit your account. Twenty prizes means users have a real chance of winning a reward. The fact that the company supports a large range of payment systems shows how reliable they are. You can credit your account balance on Binomo in a number of convenient ways - with a credit card, bank account, electronic wallet, or and even with cryptocurrencies. When crediting a sum of $50 or more, a bonus of up to 100% is added to the deposit. The minimum deposit is $10. Withdrawals are completed within a period of 3 days or a few hours. Effective customer support also proves the reliability of the company. Binomo conducts its client support service via a call center, online chat, and email. Binomo continues to confidently maintain itself as an industry leader. More than 100 assets to trade, a unique trading terminal, technical analysis on the platform, advanced training for beginners, individual analytics - all this makes the company an optimal choice for both novice traders and advanced ones.